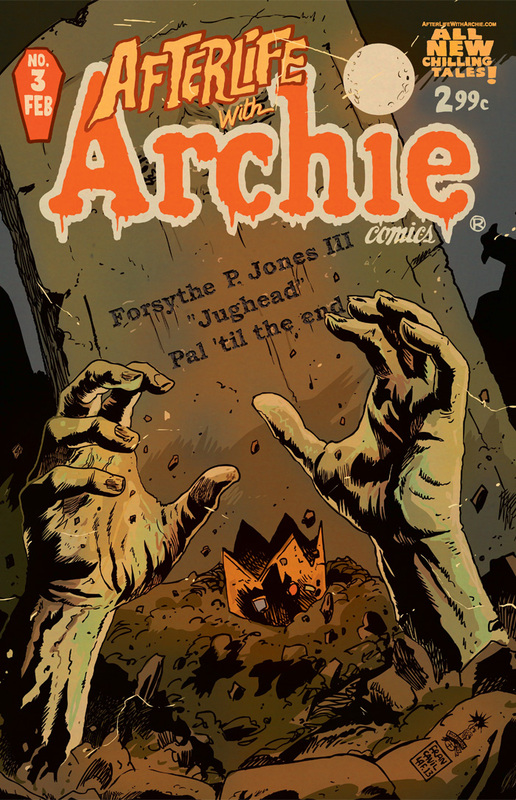 IGN has exclusively unveiled the trailer for the third issue of Afterlife With Archie, while Comic Book Resources debuted the exclusive preview pages for the issue which goes on sale January 1, 2014. Need to catch up on the first two issues? You’re in luck, because the second printing of issue #1 is on sale now, while the second print of issue #2 also goes on sale January 1st! You can also catch up on all the undead terror that’s been unleashed upon the once-quiet town of Riverdale by downloading the official Afterlife With Archie app for free. Stay up to date on all the horrific happenings in Riverdale–subscribe to the Afterlife With Archie mailing list and never miss out on special news, sales, and more.